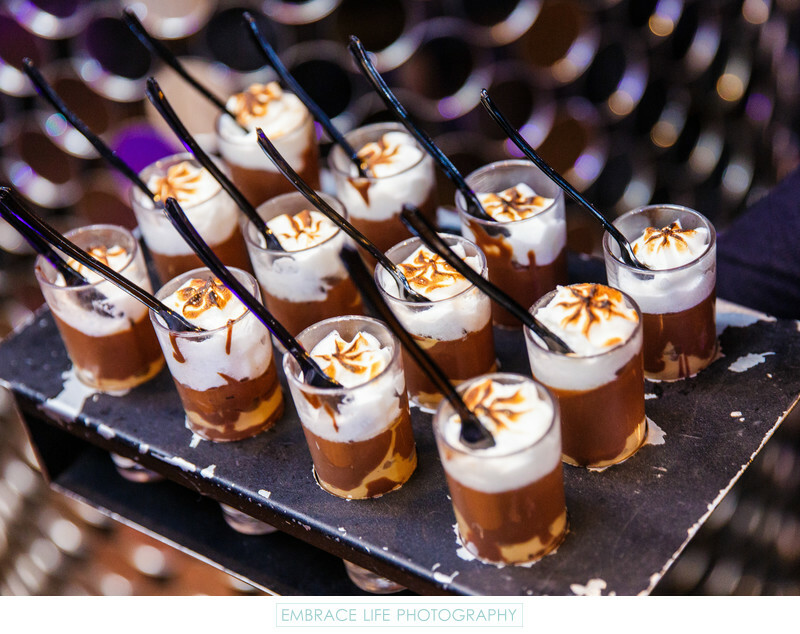 Even the tray-passed desserts at this cool Los Angeles bat mitzvah were stylish. Against a fun, circular mirror covered cocktail table backdrop, a tray of shot glass s'mores is held on display by one of the Greystone Manor servers. Los Angeles event planner, Ilana Wenger, brought many creative ideas to the table in designing the bat mitzvah of a lifetime.